Snow is on the way and we are rolling out the welcome mat! It's a short yet strong system with a lower snow line, so we could see the white stuff on the whole mountain. Preparations are at full speed and this snow will only encourage us to keep sprinting! We've added some great new people to the management team. They're drinking from the fire hose this week as they jump right in. Everyone on the team are skiers/riders who cannot wait to get on the mountain. I can't think of better motivation at work: the better you do, the better the ski rewards. There really is no business like the snow business. Ski & ride 16 mountains in Colorado for FREE when you work at Powderhorn! It's here already, the last chance to order your season pass at the lowest price possible. Prices will go up to full price on Saturday, so please order now and save money! Click here to order. Unlimited half-price tickets at Crested Butte. 10% off food and merchandise at Powderhorn. We're making improvements in snowmaking right now, resurfacing the sundeck and naming the new halfpipe. It's certainly a big new year! 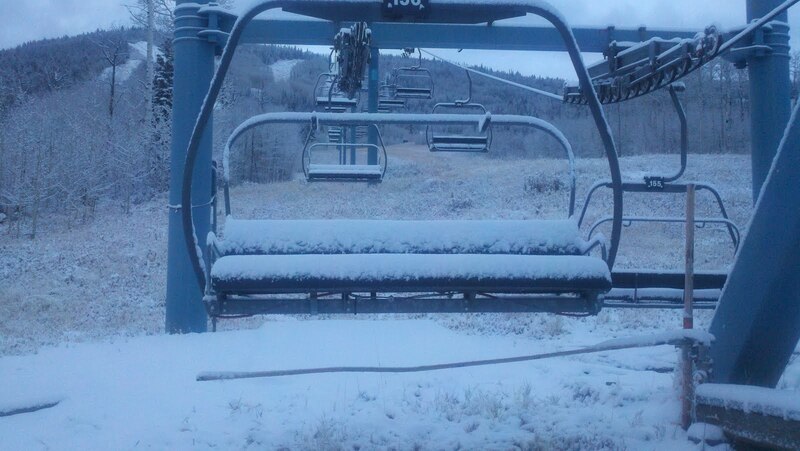 Thanks to all who will be skiing & riding with us this season. Powderhorn is proud to present TGR's One For The Road as part of the Ski Swap this year! It's a great time to come together, catch up with Powderhorn friends and get stoked for season. 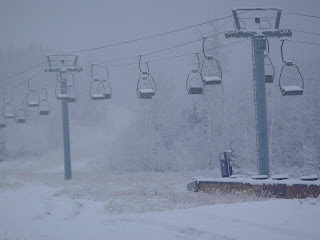 Tickets $15, stub is good for a buy one, get one FREE lift ticket at Powderhorn! Plus get $2 Kannah Creek brews at the show. Then head to the after party at Naggie McGee's, show your ticket stub for a free well drink, draft beer or glass of wine. It's here! The first snow of the season. You can watch the storm on our webcam. The forecast is calling for 3-7" today! 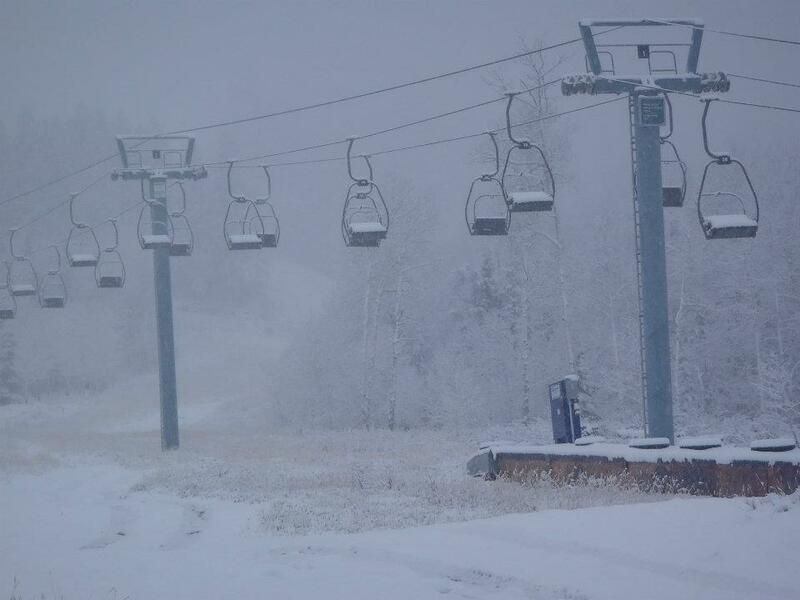 If you haven't ordered your season pass yet, this snow is a great reminder! Passes go to full price on October 15th. First of all, thank you to everyone who came up, took a lift ride and enjoyed the fall colors! As I type this post, it's raining buckets. We like to say that rain is just premature snow. And it is in fact forecast to snow tonight in some areas around 10,000 feet. The first time those forecasters start saying the GOOD 4-letter word, well we just get excited. 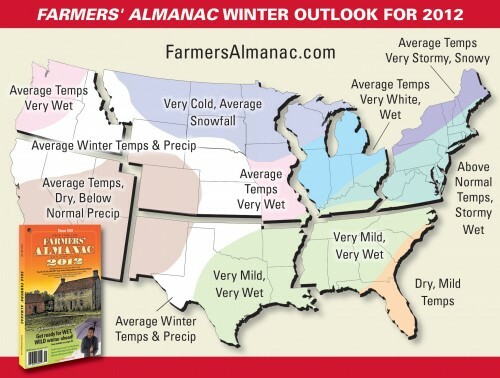 Who knows what the winter weather will bring, but take a look at what the Farmer's Almanac is saying. 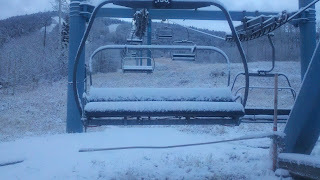 Well we say it's never too early to start your snow dances. Let's make sure this doesn't happen!